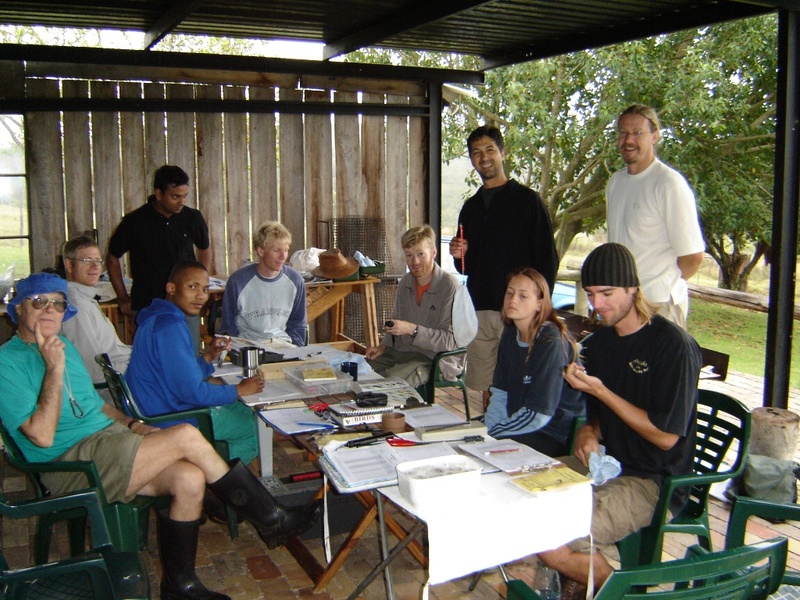 In November 2005 a ringing training course was held at the Landela Christian camp, just outside Port Elizabeth. 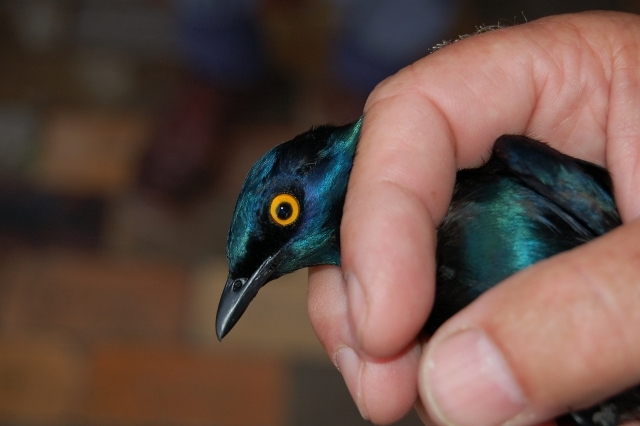 There were 15 attendees (ringers and trainees), ringing over 276 birds of 46 species over the duration of the course. Selected photos below illustrate some highlights. Photo H.D. 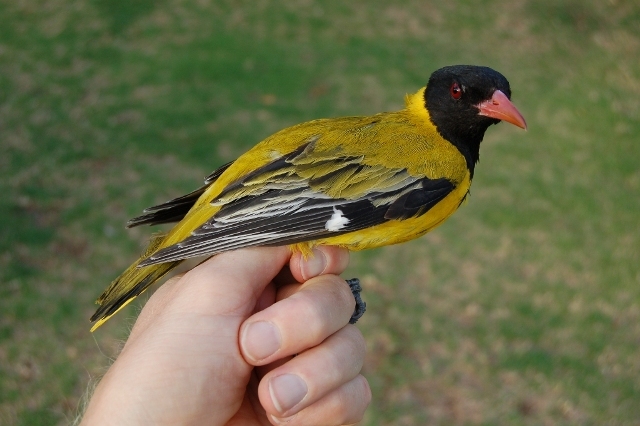 Oschadleus One of the adult Black headed-Orioles that was ringed. Photo H.D. 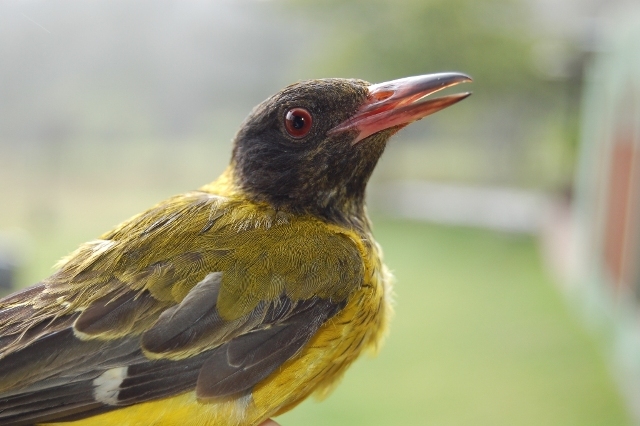 Oschadleus An immature Black-headed Oriole, showing the duller colours. Photo H.D. Oschadleus One of several Forest Weavers that were ringed. Dieter spent many hours following these birds around. Photo H.D. Oschadleus A SARCA moment. Photo H.D. 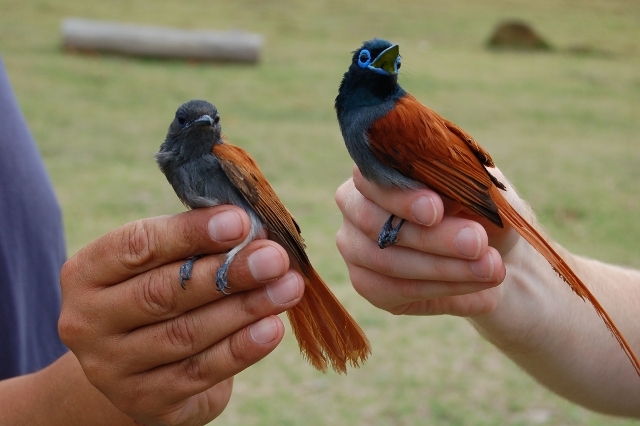 Oschadleus A pair of Paradise Flycatchers ringed early in the course. Having both birds at the same time was a treat. Photo H.D. Oschadleus A Scaly-throated Honeyguide. A rare bird to have in the net. 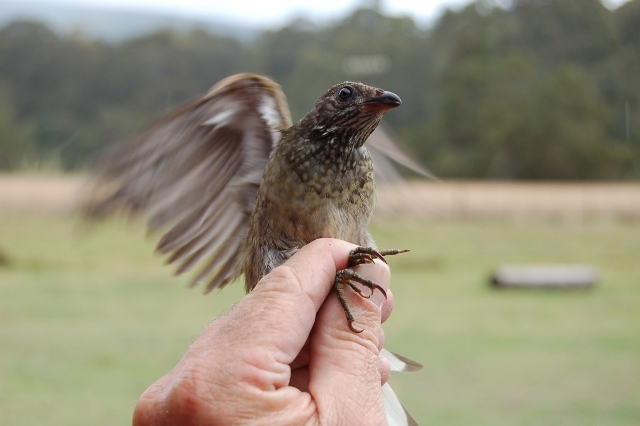 In 60 years of ringing only 121 are on record with 3 retraps. Photo H.D. Oschadleus A Red-fronted Tinker-barbet. For many of us this was the first time to see this bird. Photo H.D. 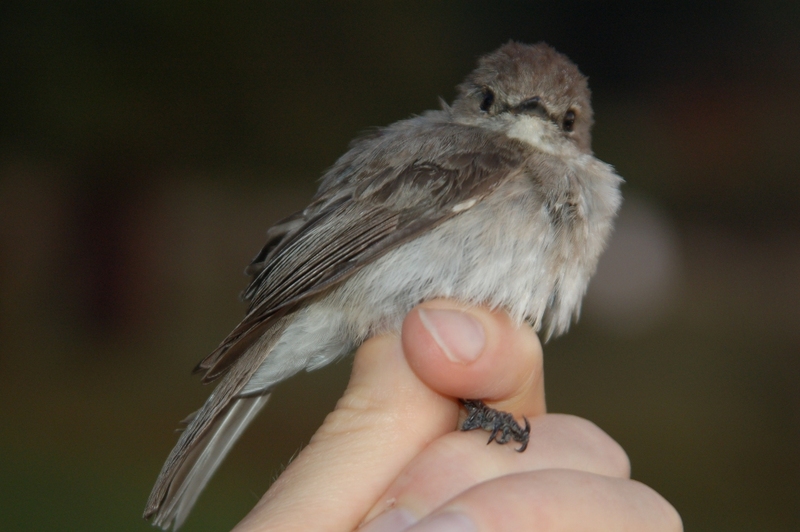 Oschadleus A Dusky Flycatcher that was ringed. Photo H.D. Oschadleus Numerous Green-backed Camaroptera were ringed during the course. Photo Peter Nupen Our group at the Landela forest during a quiet spell. Photo H.D. Oschadleus ...and after. The eye colour changes to red when the bird is stressed. Remarkably it took a while for the eye to change colour. 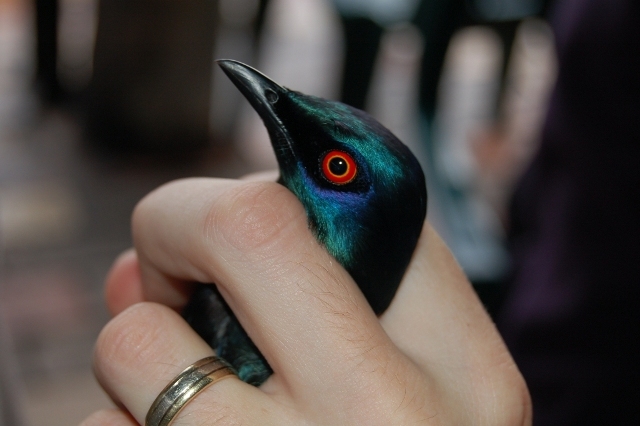 The bird was "in hand" for at least 10 minutes before the eye changed colour. 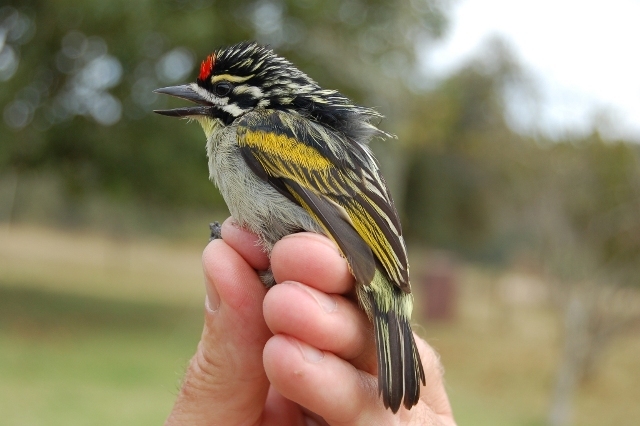 The course yielded 275 birds of 46 species. 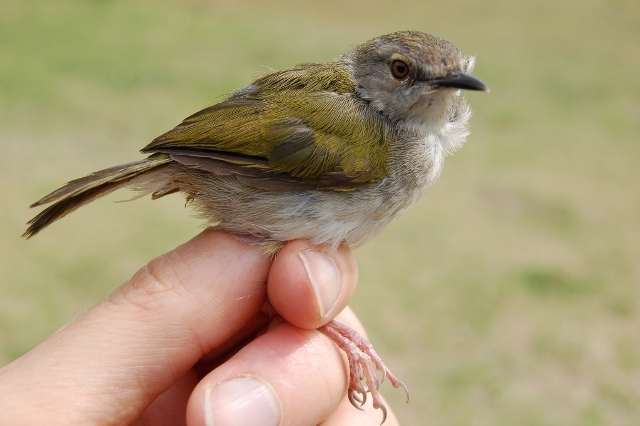 Although there were relativey few birds caught, the number of species made up for it. 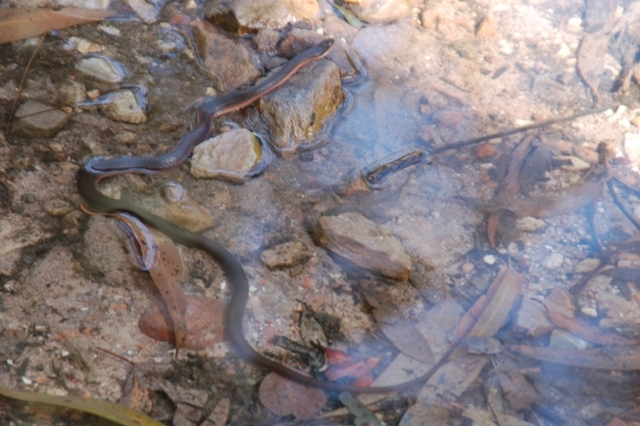 For many of the trainees, it was the first time to handle some of these species. 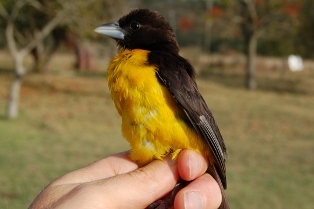 We also managed to get a sighting of a pair of Narina Trogon on the farm!! Thanks to Eugene & Renee Cooney for allowing the course to be held at Landela!